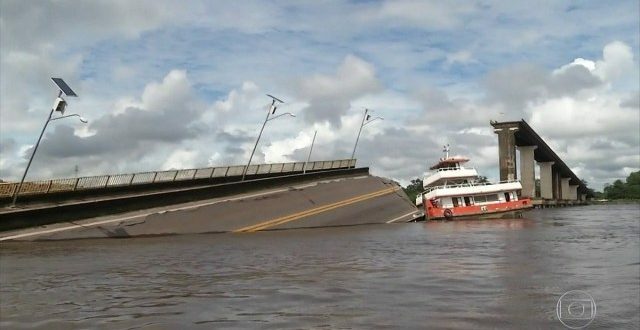 A bridge in Brazil, in Pará state, was collided with a ferryboat, plunging a 200m (657ft) section into the Moju River. It was reported that two cars fell into the river after the crash. The casualties are still vague but the 5 crew member have survived the crash. Authorities are working to clear the remains from the river and have set up a number of barges to ferry residents across the water until it can be fixed, while placing warning signs on pillars of other bridges nearby. A corrosion was revealed in an inspection early this year but nothing was done to repair it. This incident will have a prominent influence on the shipment as it was a connection to the busiest ports, Belem. Previous MOM: A movie that breaks the stereotypes!